Sukomal Barua is secretary general for Religions for Peace Bangladesh and is a member of the central committee of the Asian Conference of Religions for Peace. He is president of the Gurudwara Management Committee Bangladesh, president of the Dr. Ambedkar Foundation, senior vice president of the Bangladesh Interreligious Writers and Journalists Association, and senior vice president of the Bangladesh chapter of the Asian Buddhist Conference for Peace. 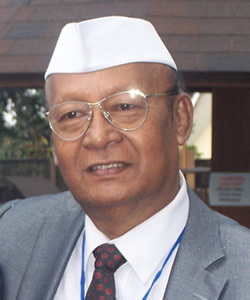 Barua began his academic career as a lecturer at Rangunia College, eventually becoming vice principal there. He later acted as founding principal at Hasina Jamal Degree College. He served as secretary of the Buddhist Religious Welfare Trust in Bangladesh’s Ministry of Religious Affairs and is associated with various professional, religious, and cultural organizations in Bangladesh and abroad.